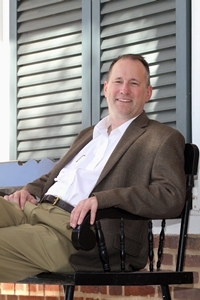 Philip Gulley is a Quaker pastor, writer, and speaker from Danville, Indiana. Gulley has written 22 books, including the Harmony series recounting life in the eccentric Quaker community of Harmony, Indiana and the best-selling Porch Talk essay series. Gulley’s memoir, I Love You, Miss Huddleston: And Other Inappropriate Longings of My Indiana Childhood, was a finalist for the Thurber Prize for American Humor. In addition, Gulley, with co-author James Mulholland, shared their progressive spirituality in the books If Grace Is True and If God Is Love, followed by Gulley’s books If the Church Were Christian and The Evolution of Faith. In Living the Quaker Way: Timeless Wisdom For a Better Life Today, Gulley offers the opportunity to participate in a world where the values of the Quaker way bring equity, peace, healing, and hope. Living the Quaker Way invites readers to encounter the defining commitments of the Religious Society of Friends–simplicity, peace, integrity, community and equality, and shows how those ideals can be incorporated in personal and public life to bring renewal and eliminate the clutter that is keeping us from deeper spirituality. In his most recently published work of non-fiction, Unlearning God: How Unbelieving Helped Me Believe, Gulley describes the process of spiritual growth, especially the re-interpretation of the earliest principles we learned about God. Gulley teaches the reader to let go, or unlearn these burdensome obstacles in their faith so that they can forge a more authentic relationship with God.